Volcom car stickers are just one aspect of the "Let the Kids Ride Free" community, founded in 1991 by Richard Woolcott and Tucker Hall. Volcom was formed with the goal of creating a unique environment where kids of all ages can compete in skateboarding, snowboarding, and surfing without the hype of fees and rules, and fans use Volcom decals and stickers to represent individuality. AnyDecals.com offers two designs for Volcom fans. One features the company name, while the other is the logo only. 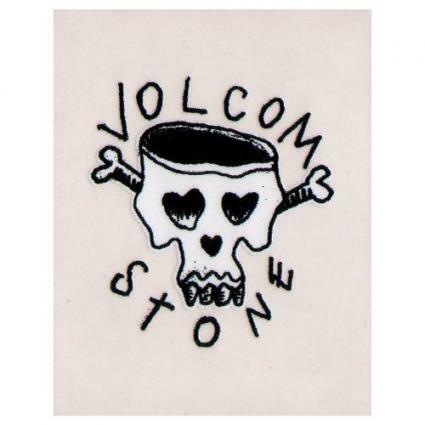 You can also find a variety of Volcom stickers on eBay. 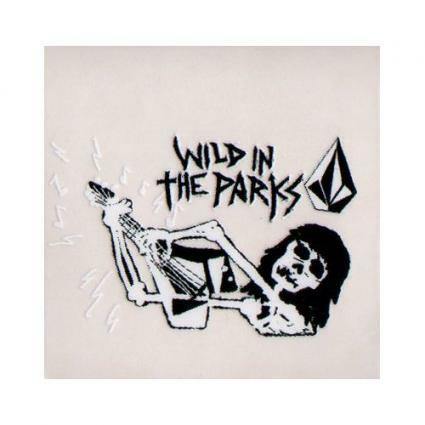 One Volcom-authorized eBay store, PartsAreParts-And-More, offers decals and stickers ready to install with free shipping. Check out Zumiez's selection of Volcom clothing and accessories, or visit a store near you to find out if they have any stickers and decals. TipTopSigns.com not only offers the company name sticker and logo sticker, but also includes installation pictures. According to Decalsplusonline.com, each decal and sticker is cut from one piece of vinyl. These stickers last between five and seven years and can be placed inside or outside the car - wherever you choose. Each decal or sticker set comes with installation instructions and tips on how to apply them without bubbles for maximum effect. Volcom strives to keep their community alive through sticker placement and avoiding fakes. Visit the Fun section of Volcom's site to keep up with everything going on in the Volcom world. Branding through Volcom is the key, although individual branding using Volcom products, stickers, and decals is the real goal. Volcom stickers promote a fondness for not just boarding sports, but the ability to get involved, play a sport, have fun with friends, make new friends, and share ideas. Volcom stickers and decals have become a way for friendly competitors without sponsors to design, create, and display their individuality with the encouragement of the Volcom brand. Beyond stickers and decals, Volcom encourages self expression through design, and offers designing contests on MySpace and YouTube pages. Members of Volcom want to give back to their community by organizing fun sporting events with tricked out boards of all kinds and cars full of Volcom stickers that are the height of an individual's or team's expression. Volcom events have hit the international scene as well, and it's free to join this club. Through blogging, story-telling, events, clothing, and Volcom car stickers and decals, members sport, speak, embrace, and express a lifestyle of peace. At the forefront is the ability to recognize and accept the old way of life while exploring new ways to make the world a better place for everyone. After you find your Volcom identity, express yourself by designing a web page, tricking out your skate, surf, or snowboard. 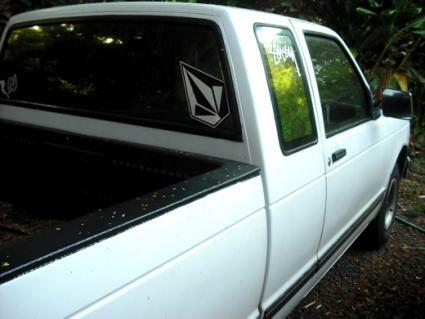 Top it off by continuing your unique design with Volcom decals and trick out your car!